What Finance Careers Are Available? I Retire Early » Career & Jobs » What Finance Careers Are Available? 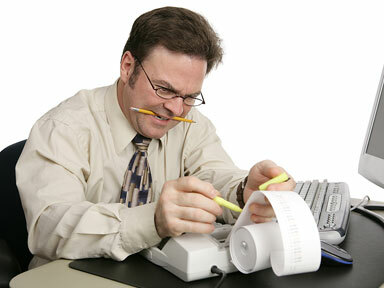 One of the largest sought after degree employers of every kind want is a degree in Accounting. However, it is not necessarily the degree itself; it is what Accounting is connected to. The broad career categories that withhold the largest number of people that have a degree in Accounting are Finance careers. Regardless of the state of the economy, those in a finance career are heavily searched for. The reason is that the constant flux in the economy, the highs and the lows, are what makes having financial advisors, accountants, money managers, corporate bankers and all other kinds of finance careers necessary. Although, these are just a few entrances into the job market for finance careers, here are some others you may want to learn more about. The Portfolio Manager’s duty is to explain investment strategies and options with investors based off of their team of analysts who provide information from a combination of products, different industries and areas for their company to thrive. Auditors closely examine financial statements with corporations and the government to ensure that the statements are accurate and in conformance with laws. Through their assessment of financial operations, they can make recommendations for improvement in procedures. The Financial Research Analyst (often part of a team) is the heart and soul of the Portfolio Manager since they study and evaluate historical and current data including trends, financial statements, investment opportunities and any other relevant data for their project. After examining the content, they create reports to be placed in a portfolio for the manager. A Personal Financial Advisor will often meet face to face with clients to discuss all areas and degrees of past, present and future financial circumstances and goals. They will answer questions on investment options, retirement, risks, insurance, tax laws and other financial related items with the sole goal to create financial stability. The tasks for Financial Manager’s have changed in recent years due to the increase in the ability to use technology to create financial statements. However, Financial Manager’s still have the much larger tasks of analyzing the data produced as well as giving reports and forecasts all the while supervising the employees who help produce the financial statements. While the main duty for a Budget Analyst is to develop and manage the financial plans and goals for an organization, they additionally need to negotiate many of the factors that are in the budget. They analyze previous data to determine the cost and benefits of the factors that are to be negotiated into the budget. To have an advantage of opportunities in Finance careers like the ones listed above, or others such as Tax Accountant, Commercial Banker, Corporate Finance, Payroll Specialist, and Investment Banking, you will need to have strong credentials and an educational background on the specific types of Finance. Another large characteristic of the most well paid people who have a career in Finance is their ability to speak multiple languages. This gives them the ability to communicate directly with foreign affairs that affect financial aspects of their duties which makes them indispensible. This is a great breakdown of all the different financial careers. You are absolutely correct that these types of careers are in demand regardless of the state of the economy. Individuals and companies are always going to be concerned about their financial well-being, so there will undoubtedly be a need for financial professionals.